– Ramzy Baroud is a journalist, author and editor of Palestine Chronicle. Baroud has a Ph.D. in Palestine Studies from the University of Exeter and is a Non-Resident Scholar at Orfalea Center for Global and International Studies, University of California Santa Barbara. 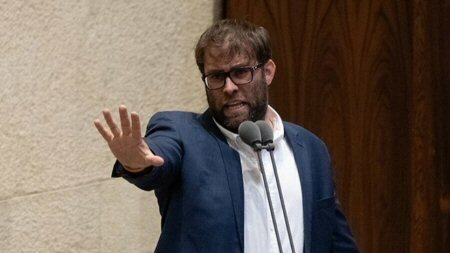 Israeli MK Oren Hazan, from the ruling Likud party, described his handicapped lawmaker Ilan Gilon, from Meretz, “half a human”, during an official plenum. The comment came during a stormy Knesset debate over legislation that would see government funding for the arts as contingent on “loyalty.” The law targets Arab residents in order to stop commemorating Palestinian occasions. Gilon had been criticizing Israeli Culture Minister Miri Regev, also of the Likud party, from the podium when Hazan came to her defense. Gilon replied branding Hazan “the Golem of Prague.” Gilon, who had polio as a child, has difficulty walking unaided and often uses a wheelchair. “Let me remind you that this repulsive MK also mocked my friend Karin Elharar for her disability. How disgusting can you be?” Zionist Union MK Mickey Rosenthal said. “If he isn’t thrown out of the Likud in the coming hour — then this is the true face of the party. This is the way they want to lead Israel. Revolting,” wrote Zionist Union MK Stav Shaffir on Twitter. However, he remained in the Likud. Justice Minister Shaked demands Attorney General Mandelblit to fire his deputy Dina Zilber after she criticized the loyalty in culture bill proposal at a Knesset committee discussion; stressing he won't allow outside interference in the managing of his department, the AG decided to halt Zilber's appearances in the Knesset or government until he can clarify the matter with her. Justice Minister Ayelet Shaked has demanded the dismissal of Attorney General Avichai Mandelblit's deputy Dina Zilber over her criticism of the loyalty in culture bill. The loyalty in culture bill, which was proposed by Culture Minister Miri Regev, seeks to grant the Culture and Sports Ministry the authority to deny state funding to cultural institutions that "undermine" the state's values and symbols. 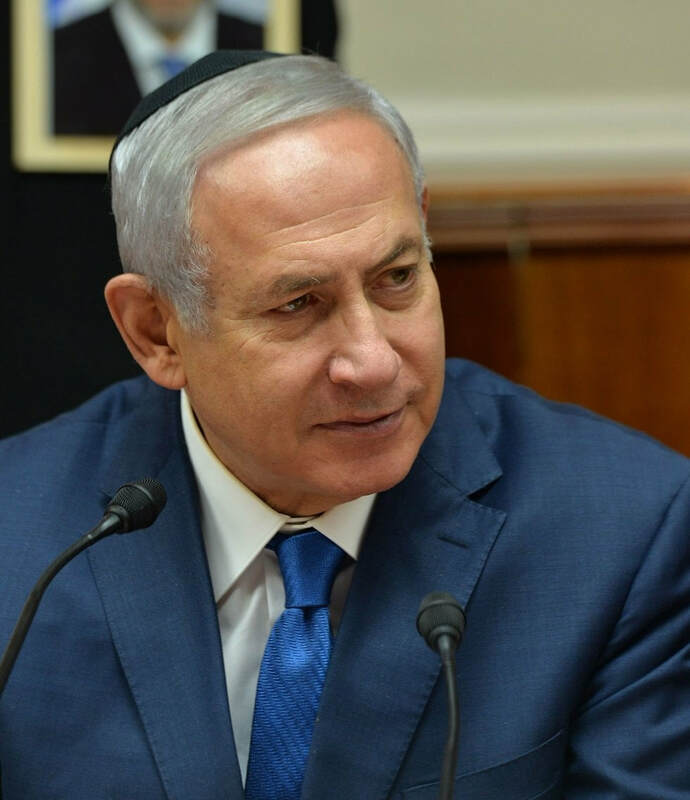 During a discussion at the Knesset's Education, Culture and Sports Committee on Tuesday morning, Zilber pointed out the legal difficulties such an amendment would pose. "The legislation grants sweeping powers, including the denial of funding, while creating an effect of self-censorship," she cautioned. "Culture is free imagination, beauty, the plurality of voices, courage, defiance, honesty—an expression that doesn't pander or adjusts itself to pass governmental compliance tests," Zilber continued. "Times are changing. These are not simple days, and they bring with them not just new laws, but also new words: Governance, loyalty, override. (This is) contrarian discourse, which is wounding and scarring our social fabric. It marks and labels—who is with us and who is against us. And if there's one who is loyal, is there another who betrays? A fifth column? 'Give us obedient AGs, emasculated artists, curbed media—a disciplined and educated people whose thinking is uniform,'" Zilber charged. In response to Zilber's comments, Justice Minister Shaked announced on Tuesday evening that she expects the deputy AG to immediately tend her resignation. "Starting today, Mrs. Dina Zilber no longer represents my positions, the positions of my ministry, or the positions of the government in government discussions, at one of its committees or at one of the Knesset's committies," Shaked informed Mandelblit. "She is no longer permitted to appear in front of the government or the Knesset as a representative of the ministry." "Zilber has made a series of extremist and defiant statements against members of Knesset and government ministers," Shaked accused. "It is clear from Zilber's repeat actions that she does not wish to act in accordance with the Civil Service Regulations, the instructions of the attorney general, or any other basic rule of good governance that should be obvious even without having to be put in writing. It is clear she does not wish to act as a legal advisor in a professional and honest manner." Shaked further claimed that if Zilber wishes to arrive in the Knesset and express political views, she must do so by running for political office. Backing Shaked, her Bayit Yehudi party leader Naftali Bennett praised "this incredibly important move by Justice Minister Shaked and Bayit Yehudi. The advisors' job is to advise, judges' job is to judge, and the government's job is to govern. Over time, things got confused. This is another significant move by Bayit Yehudi to restore sanity and balance." While agreeing to Shaked's demand not to have Zilber represent government positions for the time being, Attorney General Mandelblit said he decided not to suspend or punish her. 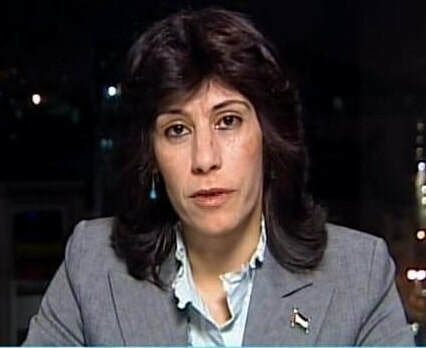 Speaking during an emergency meeting of his department, Mandelblit said he will seek clarifications from Zilber over her appearances at Knesset committees over the past two weeks in which she presented her positions on ethical issues without consulting with him first. "Anyone going to a discussion on my behalf should represent my legal position," he said, adding however that he "will not tolerate any outside interference in the running of this department." Shaked doubled down on her demand to dismiss Zilber on Thursday. 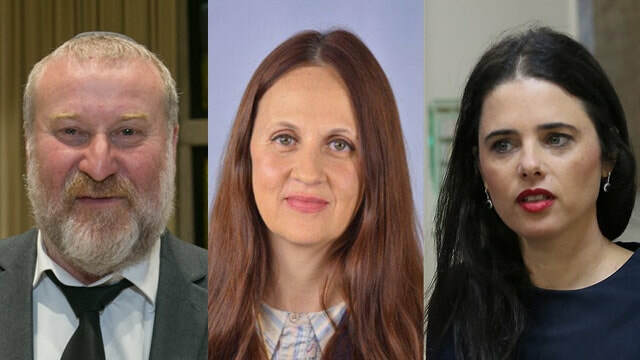 "To issue a manifesto against the government on a variety of unrelated issues is not a legal position, it's a political one," Shaked told Ynet. "Legal advice must be done professionally. Political legal advice undermines the public service. The public needs to believe that the public service promotes the government's agenda and not an independent one," she explained. 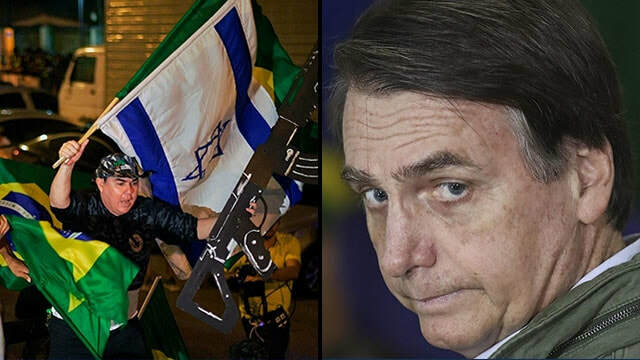 The victory of Jair Bolsonaro in Brazil’s presidential election last week has won Israel a passionate new friend on the international stage. The world’s fifth-most populous nation will now be “colored in blue and white”, an Israeli official said, referring to the colors of Israel’s flag. One might imagine that Netanyahu is simply being pragmatic in cozying up to Bolsonaro, given Brazil’s importance. But that would be to ignore an unmistakable trend: Israel has relished the recent emergence of far-right leaders across the Americas and Europe, often to the horror of local Jewish communities. He has been engaged in a similar bromance with Viktor Orban, the ultra-nationalist prime minister of Hungary, who barely veils his Jew-baiting and has eulogized Miklos Horthy, a Hungarian leader who collaborated with the Nazis. Netanyahu has also courted Poland’s far-right prime minister Mateusz Morawiecki, even as the latter has fueled Holocaust revisionism with legislation to outlaw criticism of Poland for its involvement in the Nazi death camps. Millions of Jews were exterminated in such camps. Israel is cultivating alliances with other ultra-nationalists – in and out of power – in the Czech Republic, Italy, Switzerland, Germany, and Austria. The conclusion drawn by Jewish communities abroad is that their well-being – even their safety – is now a much lower priority than bolstering Israel’s diplomatic influence. Equally hard to ignore is that Israeli leaders, while they regularly denounce US and European left-wingers as antisemites for criticizing Israel over its abuse of Palestinians, have remained studiously silent on Trump’s inflammatory statements. In an online post before the attack, Bowers singled out the synagogue for its prominent role in helping refugees gain asylum in the US. That message is strenuously rejected not only by Trump but by the Israeli government. Bennett has termed the refugees “a plague of illegal infiltrators”, while the culture minister Miri Regev has labeled them a “cancer”. Polls suggest that more than half of Israeli Jews agree. – Jonathan Cook won the Martha Gellhorn Special Prize for Journalism. He contributed this article to PalestineChronicle.com.